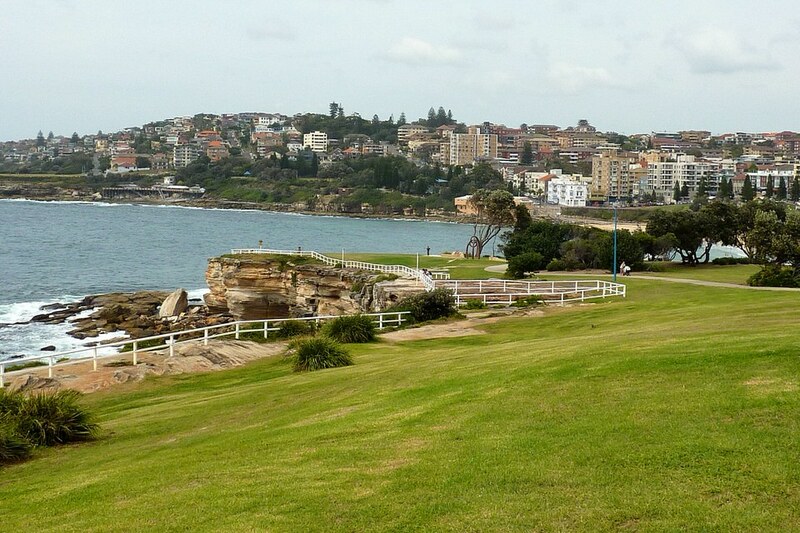 High up on TripAdvisor‘s list of Sydney attractions (#2 of 355 Sydney attractions), is the 6 km Coogee to Bondi Beach Walk. 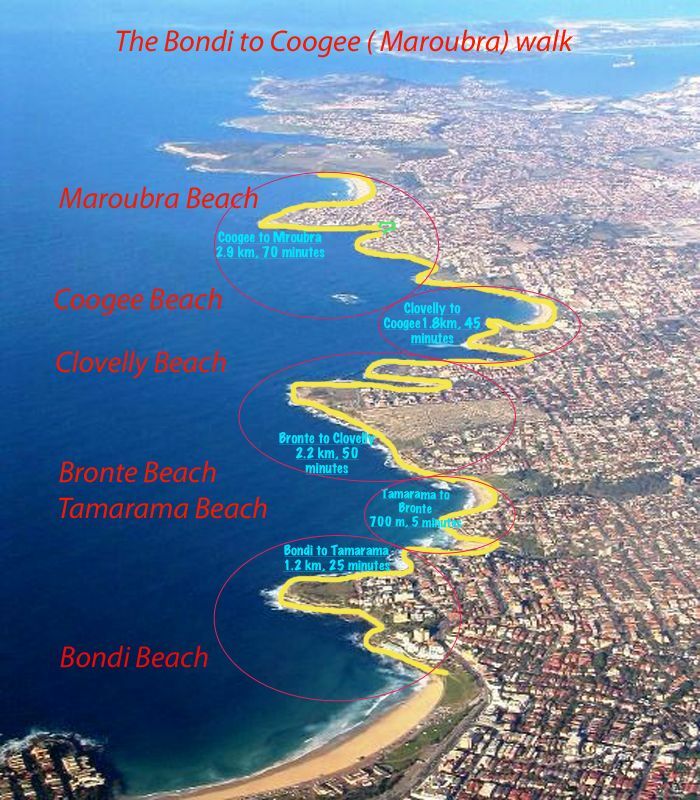 This will take 2 hours to do, but you can also do smaller segments and take a bus back from any beach. You can also extend the walk on either end. 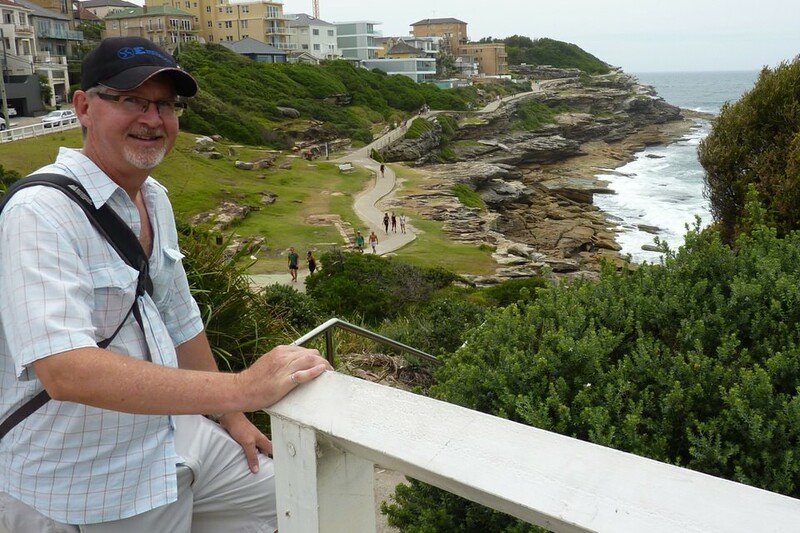 Ed and I took the bus from the CBD to Coogee where we started our walk along this spectacular and varied coastline. 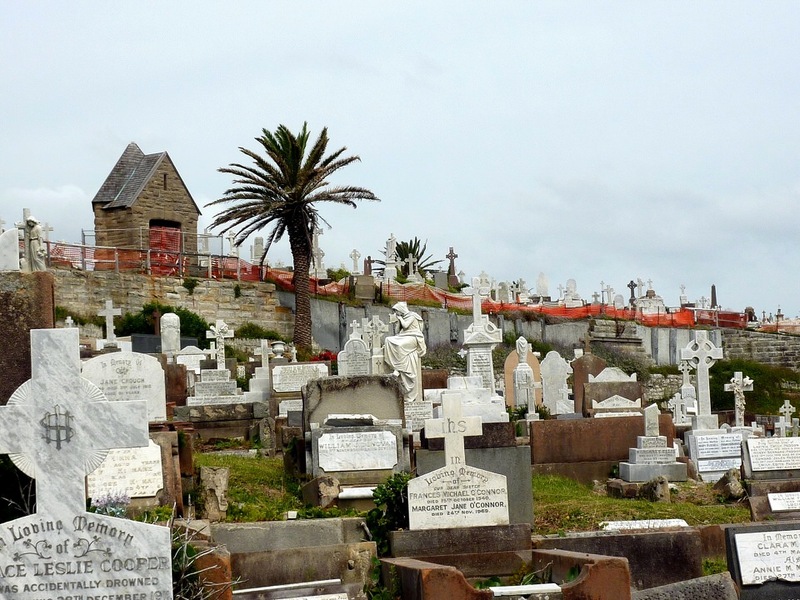 We followed the water’s edge past beaches, rock pools, parks, boats, rock formations, restaurants, and even a cemetery, until we found ourselves at Bondi Beach. With tremendous views that only visitors will enjoy, this location comes as a complete surprise. Some parts of the walk have a boardwalk, some parts have less structure, and sometimes you veer off to city streets which have white markings to guide you back to the water’s edge. 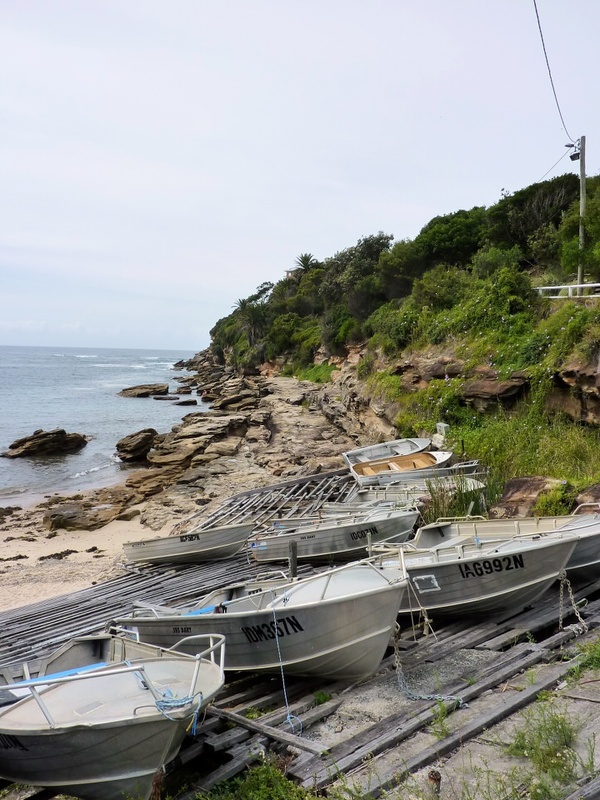 There is so much of interest along the way, including several beaches. 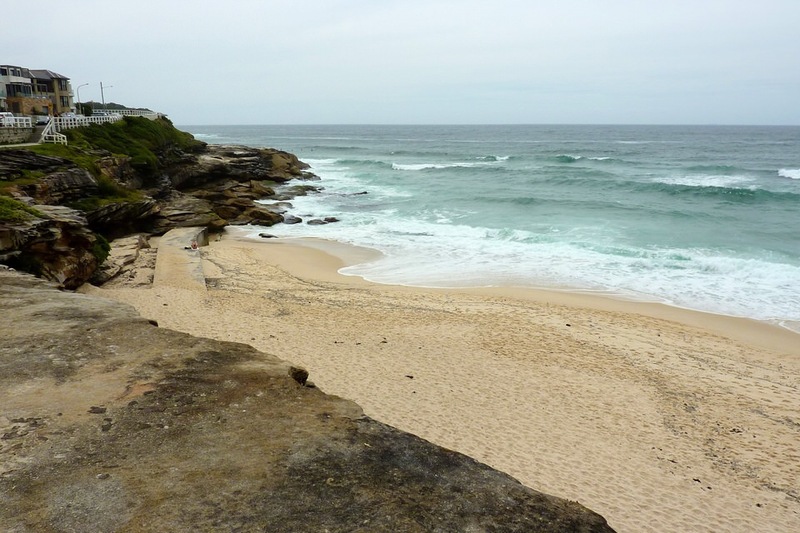 The waves are very good and we often saw groups of surfers at every beach. 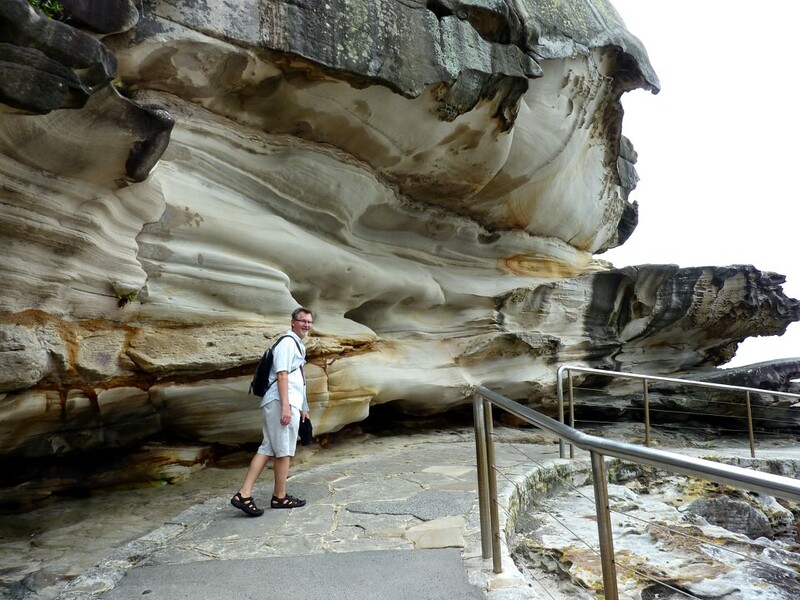 The rock formations of this coastline are fascinating. 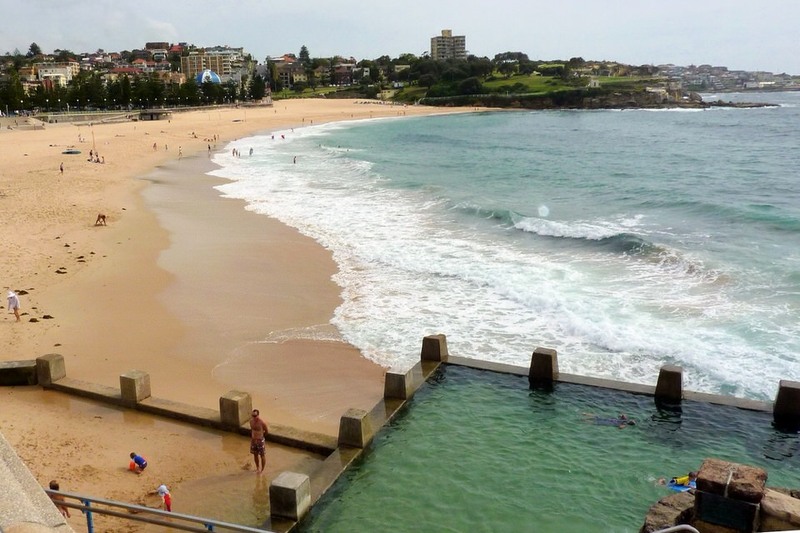 When we were there, it wasn’t really beachy weather, so we didn’t swim in the ocean, but Bondi is a very popular beach in Sydney. 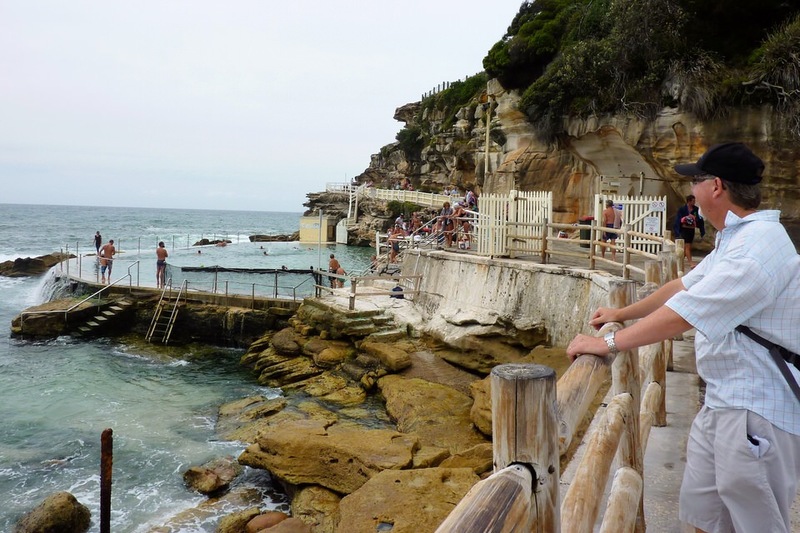 There is even a TV show called “Bondi Rescue” which focuses on the active working life of the lifeguards there. If you don’t want to swim here, you can always explore some of the many shops and restaurants that line the beach. 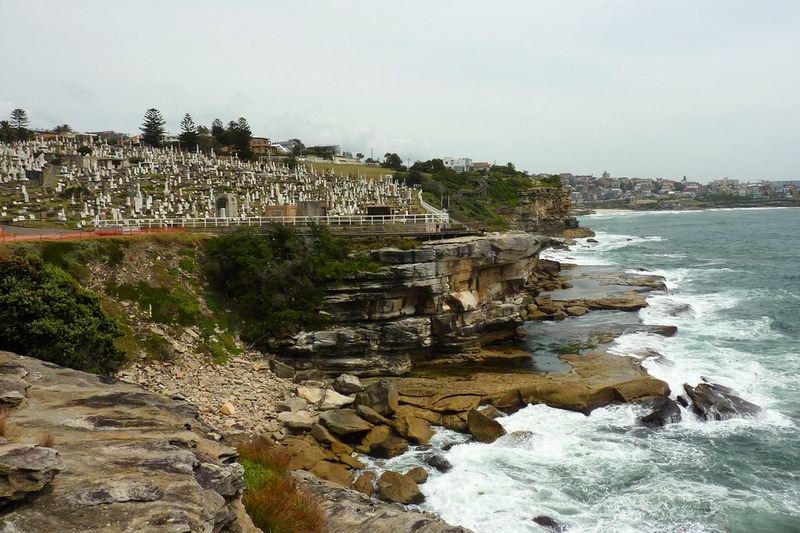 Each year in October/November they have the Sculpture by the Sea display along the Bondi-Tamarama part of the walk. Worth a return visit some day. 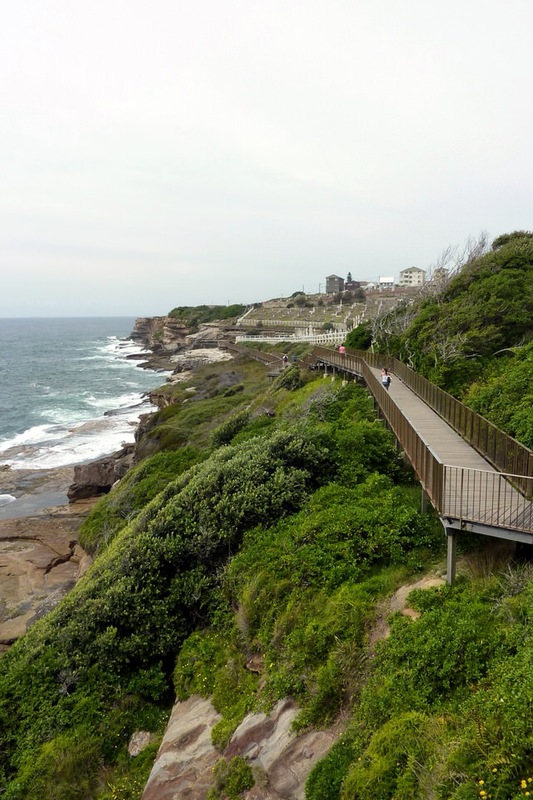 It is on our list (along with a Bondi Beach restaurant we heard about). 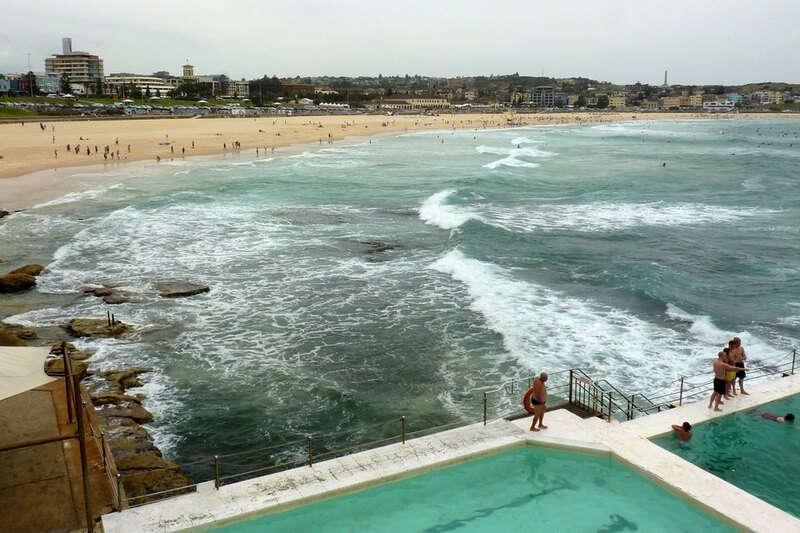 Looks amazing and the swim looks like an interesting experience. What a beautiful walk! I would definitely do it. 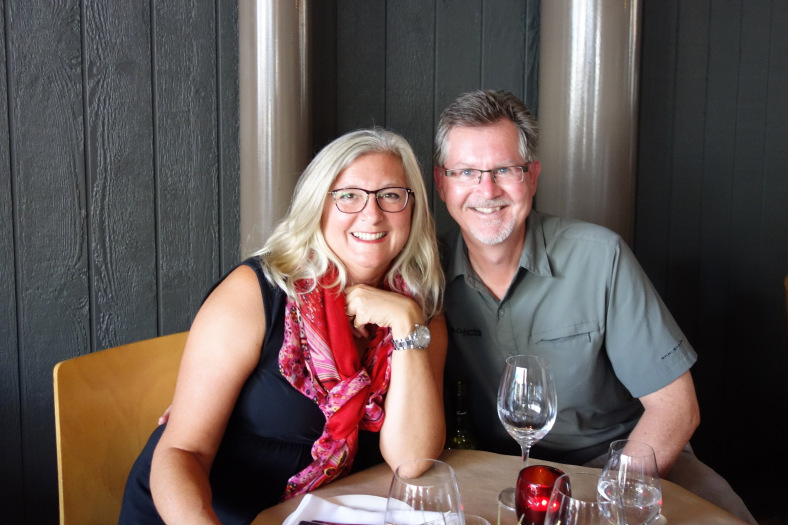 Yes – you and Rick would love it.